Photo 074. 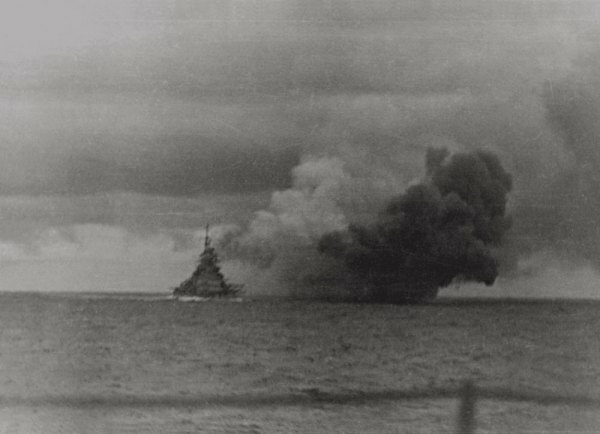 The Bismarck in Battle. The Bismarck in Battle. The battleship Bismarck has just fired a salvo during the battle of the Denmark Strait in the morning of 24 May 1941.